The M.I.T. Bag Model (1, 2) has been generally successful in giving a simple and quantitative account of the quark structure of hadrons. It is not the purpose of this talk to recount the successes or short comings of the bag model. 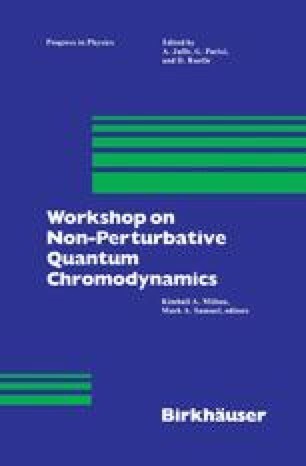 Instead, I will try to motivate the development of a possible “derivation” of the model from the fundamental theory of strong interactions, that is, from Quantum Chromodynamics.